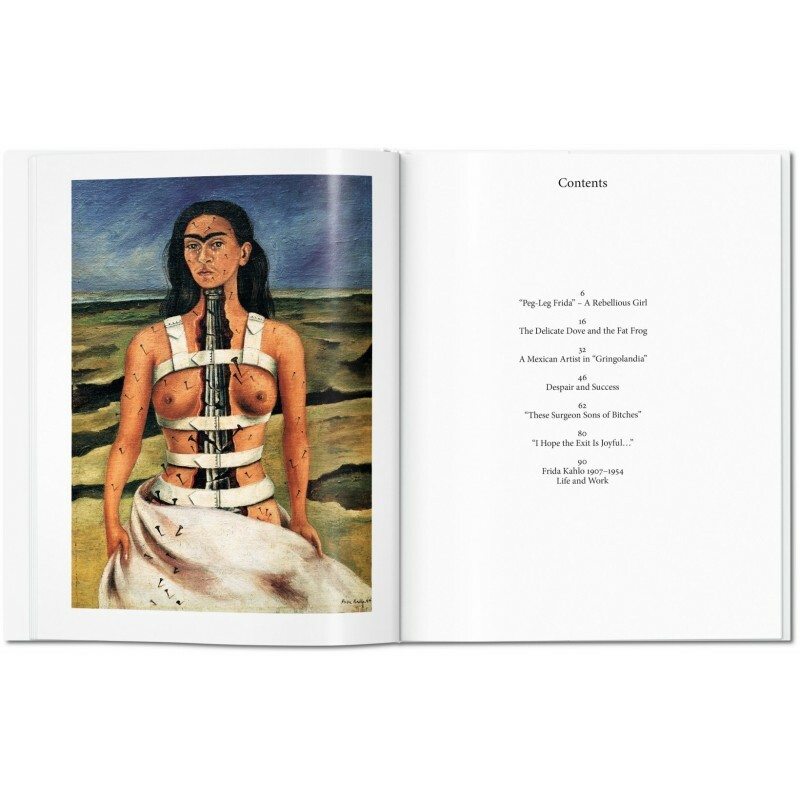 Frida Kahlo’s arresting pictures were in many ways expressions of trauma. 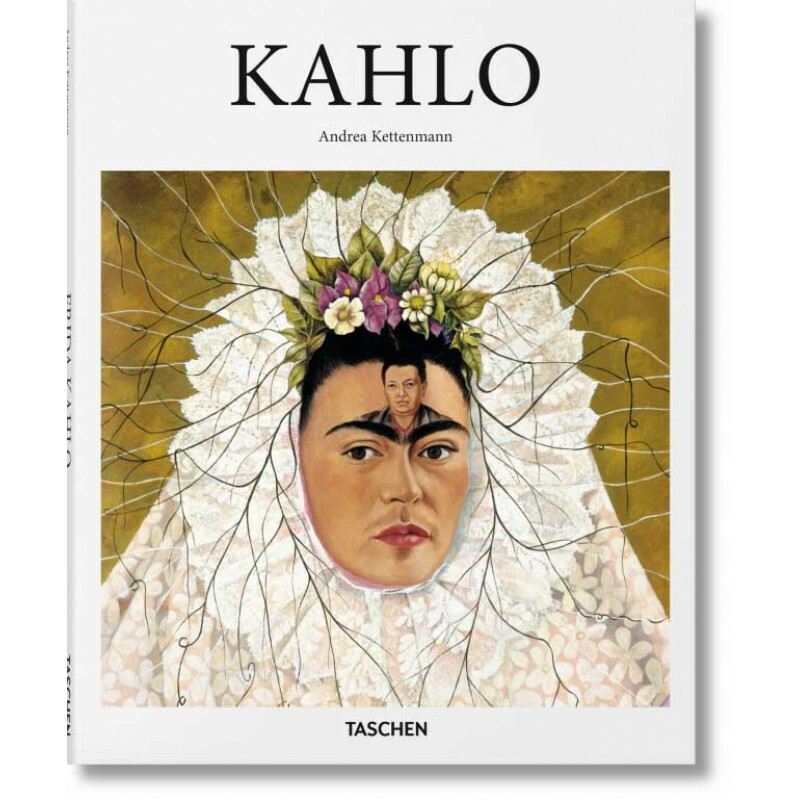 The daughter of an immigrant German photographer father and a Mexican mother of Indian origin, Kahlo (1907–1954) was involved in a serious road accident at the age of 18, which left her with lifelong health problems, including the inability to have a child. 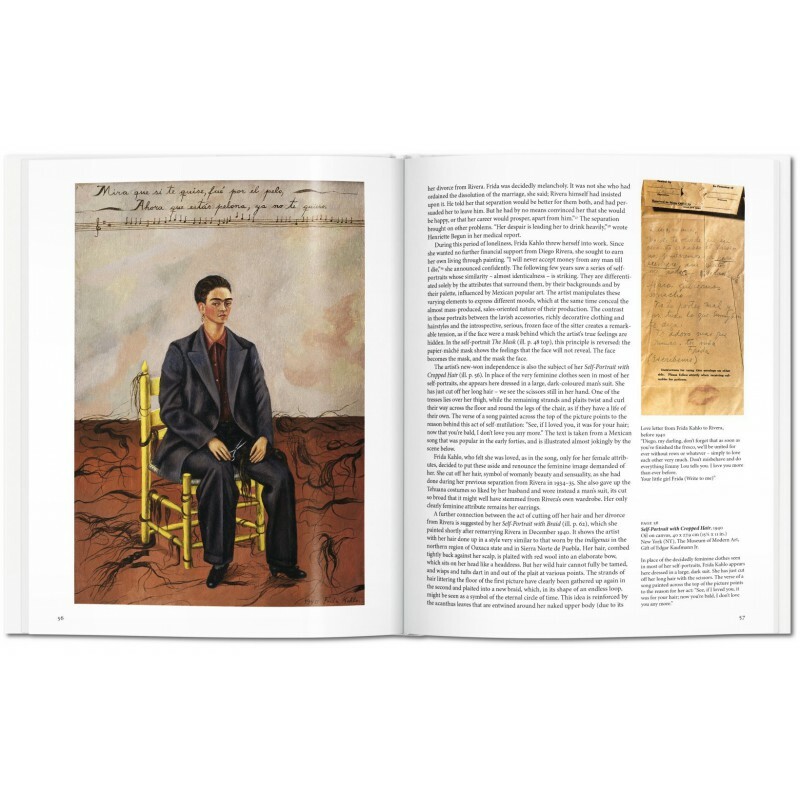 This richly illustrated Basic Art book offers a both accessible and informed introduction to Kahlo’s life and work, looking at the artist’s dramatic, colorful canvases which combined religious Mexican tradition with Surrealist elements. 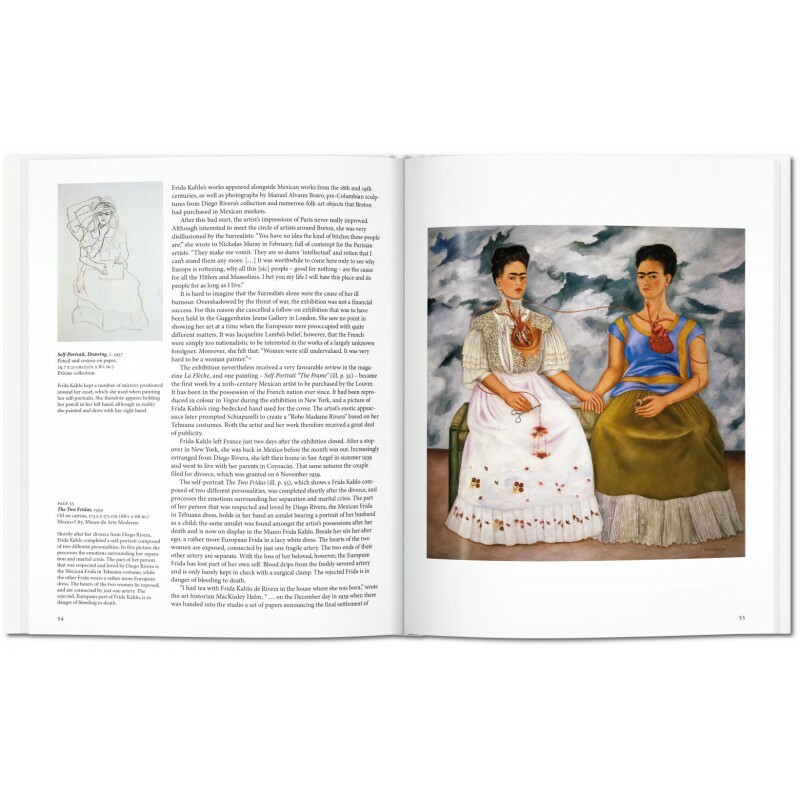 These paintings can be seen as reflections both of Kahlo’s physical distress and of her volatile marriage to world-famous mural painter Diego Rivera—a tumultuous relationship fraught with furious tempers, numerous extra marital affairs, divorce, and remarriage. 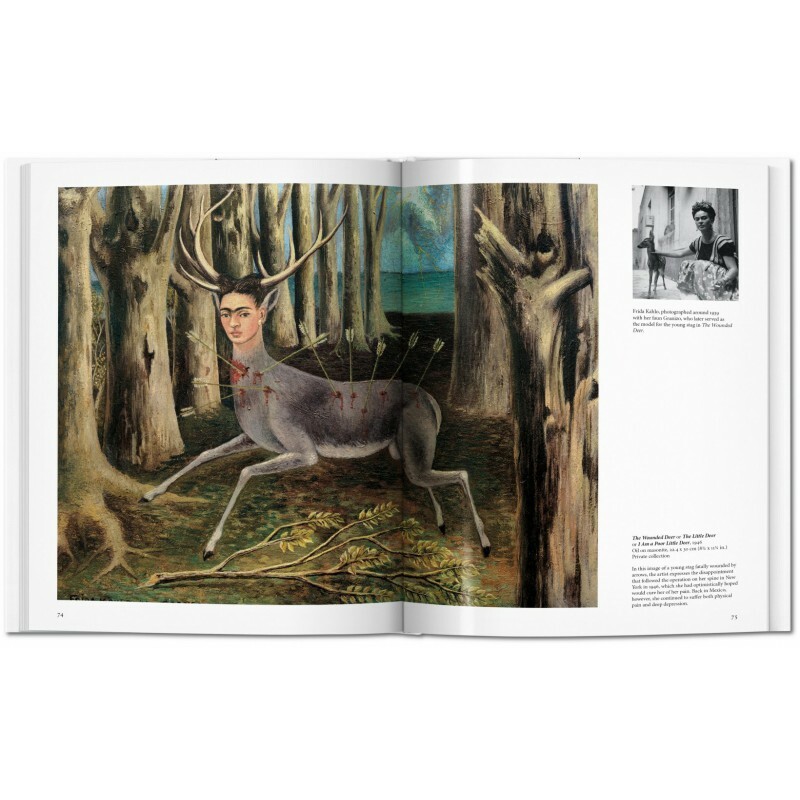 Many works also explore the Communist political ideals Kahlo and Rivera shared. 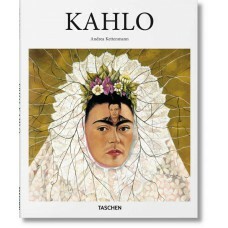 Kahlo’s work received posthumous recognition in the late 1970s and was declared the property of the Mexican state in 1983. Today, she is considered one of the most important 20th-century painters, a feminist icon, and a pioneer of Latin American art. Andrea Kettenmann (born in 1959) studied art history in Gießen, Göttingen and Heidelberg before joining the art history department of the University of Hamburg. 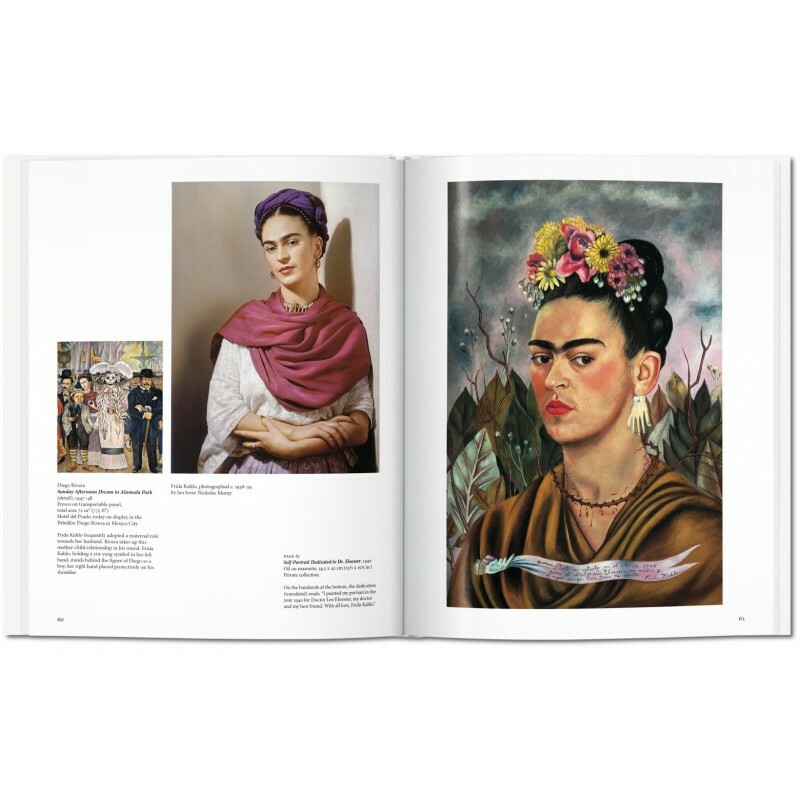 In 1986 she visited Mexico on a fellowship, and now lives there, working as a freelance art historian. 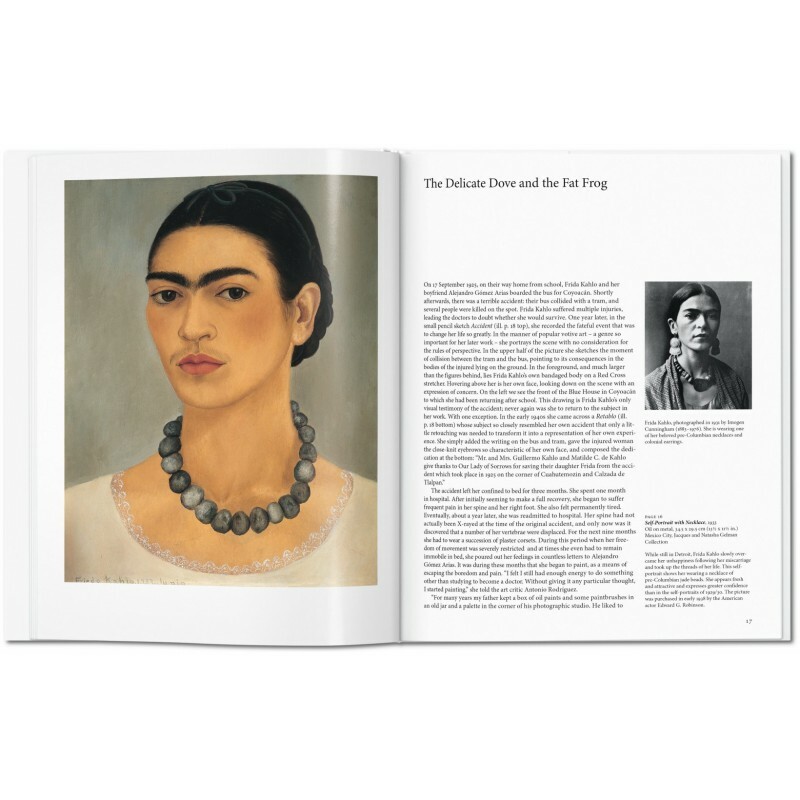 She has now worked on a number of exhibitions and catalogues, including the catalogue for the retrospective on Diego Rivera, Frida Kahlo’s husband, in Detroit.